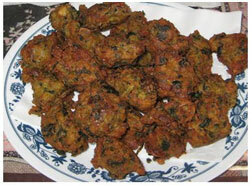 Recipes : Panbo Bangla Mushroom Ltd.
Cook them for 5 minutes at low heat and add rest of the milk. 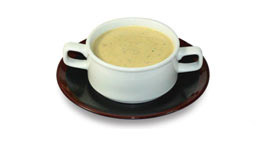 Serve in individual bowl with cheese slices and pour the hot soup on it and spread green coriander leaves over the hot soup. Boil noodles in a pan with salt. When it softens, remove from pan and wash with cold water. Wash mushroom, carrot and capsicum then cut into slices. Beat egg with soya sauce, black pepper and salt. Heat oil in a pan and fry onions lightly. Then add egg mixture and fry again. Cook for 2 minutes with mushrooms, carrot and capsicum and then add noodles, green chilies and tasting salt. Fry for 1 minute and remove it from the flame. Finely wash the mushroom then cut into slices. Mix mushroom, all spices, salt and oil together in a pan with chicken . brown, add chicken and tomato sauce and fry for 2-3 minutes. Now add half cup of water and cover the pan. When the gravy is thick, remove it from the flame. Now add the mushrooms and vegetable, cook those until the vegetable are done. Before turning the gas off, add green chilies and chopped green coriander. Cut the fish in to small pieces and wash them. Add oil in a pan and mix together fish, chopped onions, turmeric powder, chili powder, ginger-garlic paste and salt. Add some water to the mixture and put it on cooker. When the water dries up, add green chilies and green chopped coriander. Remove from the flame and serve with rice. Heat 2 tbsps of oil in a big sauce pan and fry the spices lightly. Fry half of the onions till they turn golden brown. Add ginger- garlic paste. Keep frying till a nice aroma comes out. Now mix the mushrooms and the cheese cubes along with the garam masala powder. Add a cup of water and salt as required. Simmer at a low heat till it is cooked. The gravy should be slightly thick. Add oil in another pan. Heat oil then add rest of onions chopped and fry till golden brown. Now add the drained rice. Fry for some times, then pour 4 cups of water and add salt to taste. Cook till the pulao is ready. Take another big saucepan. Put one third of the rice in it. Sprinkle a little of the chopped green coriander and mint leaves over it. 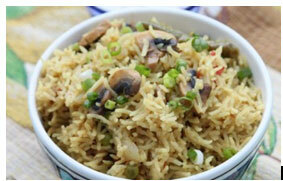 Put the second portion of rice on this layer followed by a sprinkling of the coriander and mint leaves. Spread the second layer of the cheese mushrooms masala. Do the same with remaining one-third of rice, cheese and mushrooms masala. Close a tight fitting lid and put the saucepan in a preheated oven for about 5 minutes. Heat oil in a pan. Fry them in small batches for about 4 to 5 minutes, until they turn golden brown, Drain oil and put on tissue paper. Add salt to taste and mash it in blender. Add the egg, green chilies, salt and paper. Cook until egg is blended and cooked well into the mushroom. Turn off heat. Add cheese and coriander leaves and put it in another bowl. Spread the butter on the two slices of bread. Spread about 2 tablespoons of the mushrooms mixture on the one slice and put the other slice on it. Grill using a sandwich maker.